Cervical spondylolisthesis is a vertebral misalignment condition located in the neck, most typically at C5, C6 or C7. Spondylolisthesis is usually seen in the lumbar spine, at L4 or L5, but can occur anywhere in the spinal anatomy in less typical circumstances. 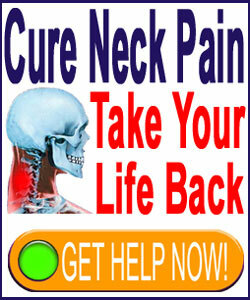 Although not a common condition, severe cases of vertebral slippage in the neck can have dire and horrific effects. Luckily, most cases are minor and not even inherently symptomatic. In fact, many minor cases are vilified unfairly as the source of pain, when there is absolutely no evidence of a pathological or pain-inducing process anywhere to be found in the surround neurological anatomy. This essay examines vertebral displacement in the cervical spine and its potential effects. Anterolisthesis is a vertebral misalignment in which the affected bone moves forward , towards the anterior aspect of the body, and out of usual alignment with the remainder of the vertebral bodies. Retrolisthesis is the exact opposite diagnosis, in which one of the vertebra moves rearwards, towards the posterior aspect of the body, and out of typical alignment with the other cervical bones. In either case profile, the extent of the slippage can range greatly. To simplify the diagnostic process, spondylolisthesis is graded using 4 categories of slippage and further quantified using a percentage scale. Grade 1 spondylolisthesis in the neck is minor and rarely cause for alarm or symptoms. Most cases involve a misalignment of less than 10%, although technically, grade 1 cervical vertebral displacement is defined as slippage between 1% and 25%. Grade 3 spondylolisthesis in the neck is rated at 51% to 75% slippage and is considered severe. Many cases will cause pain and some variety of neurological impairment, but this is not an absolute rule. Grade 4 spondylolisthesis is extreme and is described as vertebral misalignment ranging from 76% to over 100%. Most cases are symptomatic and some may even enact a terribly affective condition known as an unstable spine. Congenital cases are very common and are statistically mild and not problematic. Most patients will not even know they have vertebral slippage unless it is discovered through coincidental spinal imaging later in life. Traumatic neck injury can dislodge vertebral bones and cause lasting misalignment issues. The normal degenerative processes can cause the spinal joints to lose structural integrity and contribute to minor vertebral migration. Only in the worst cases of spinal deterioration will these cases progress to grade 3 or 4 levels. A particular fracture of one of the spinal joint structures, called the pars interarticularis, can cause vertebral migration, especially in elderly patients. This fracture is called spondylolysis. Minor to moderate cervical spondylolisthesis issues are usually not overly concerning, but should always be monitored for continued progression or degeneration. Grade 3 and 4 vertebral slippage issues are likely to cause pain to a mild or severe degree and may also enact significant functional impairment from neurological compression. As the vertebrae drift further apart, the central spinal canal will no longer line up, possibly causing spinal stenosis in the neck. The neuroforaminal openings will also not line up correctly, causing foraminal stenosis in the neck and possible cervical pinched nerves. The vertebral interactions are also possibly affected, causing the potential for purely mechanical pain to exist from facet joints and other connecting structures which no longer interact properly. 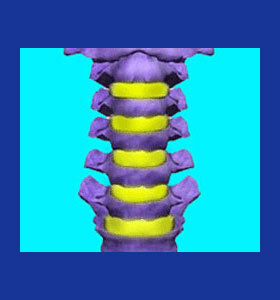 You can learn all about vertebral migration on The Spondylolisthesis Authority at spondylolisthesis-pain.com.